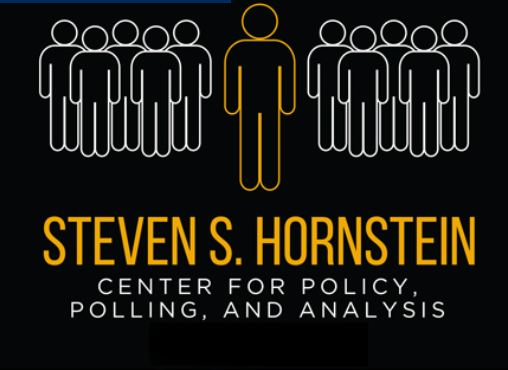 The Steven S. Hornstein Center for Policy, Polling and Analysis at Long Island University has just released a new poll that found that a plurality of Americans believe Congress should wait until after the November general election before it votes on President Donald Trump’s nomination of Judge Brett Kavanaugh to replace Justice Anthony Kennedy on the U.S. Supreme Court. According to the poll, 40 percent of the respondents prefer that the vote on Kavanaugh’s nomination should be held after the next Congress convenes in January, while 31 percent think it should be held sooner. 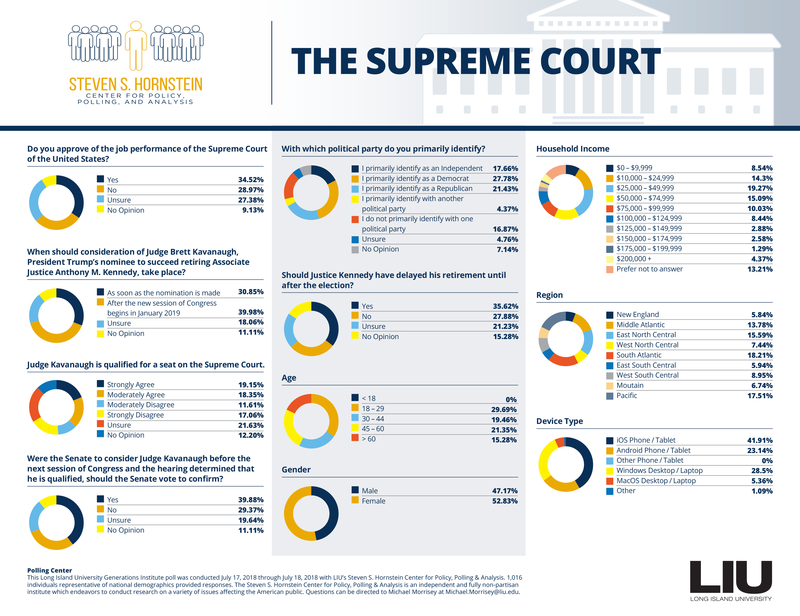 The LIU Hornstein poll revealed that 38 percent of Americans believe that Judge Kavanaugh is qualified for the High Court, while 29 percent don’t think he is. Nearly a third of the respondents were either unsure or had no opinion. LIU Political Science Professor Stanley B. Klein, director of the LIU Hornstein Center, believes the poll’s findings of how many Americans are still undecided about Kavanaugh’s nomination is significant. Early in his law career, Judge Kavanaugh, 53, who currently sits on the U.S. Court of Appeals for the District of Columbia, had served as Justice Kennedy’s clerk. Tellingly, 36 percent of the respondents to this Hornstein poll said they believed that the 82-year-old Justice Kennedy should have delayed his retirement until after the November election, while 28 percent said he shouldn’t have waited. The latest findings are based on a poll conducted from July 15-18 of 1007 Americans, and it has a margin of error of plus or minus 3 percent. 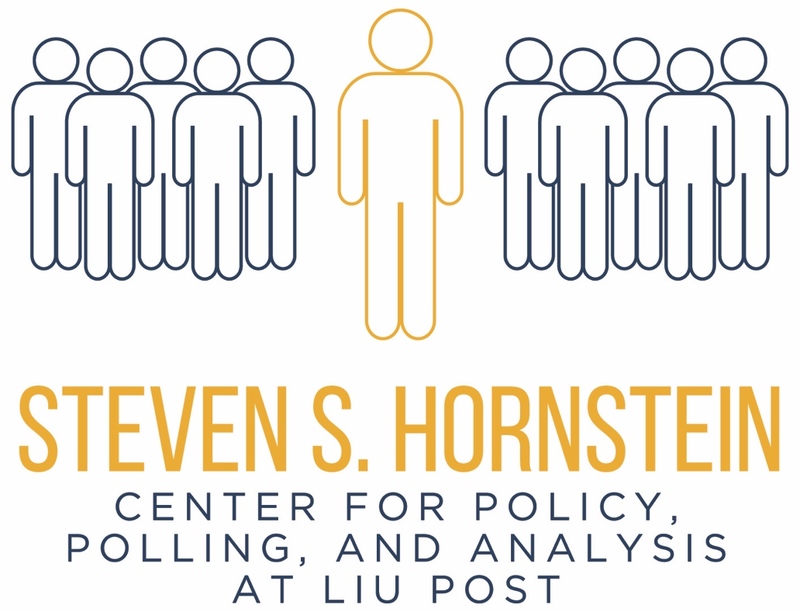 To find out more about the LIU Hornstein poll, click here.